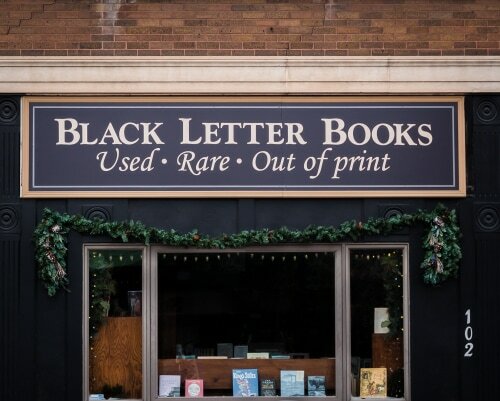 Located in historic downtown Stillwater, Minnesta, Black Letter Books is a real, honest-to-goodness brick & mortar bookstore. From fine bindings and first editions to gently used paperback classics, we provide readers and collectors alike with good, classic, used books in all subject areas. We carry an excellent selection of classic children's books, literature, poetry, books on art, photography, local history, at prices ranging from $1 to several thousands of dollars.